Compatible with Duemilanovo, Uno and Leonardo boards. On board step up to permit operation from 2 x AA batteries. Ublox MAX6/7 GPS designed for high altitude use. 70cms frequency agile TCXO equipped transmitter for RTTY. Optional 300mW 2 meter transmitter for APRS. Interupt driven simultaneous APRS and RTTY transmission. It is designed as an ‘off the shelf’ radio tracker for users with limited technical expertise. This would offer the amateur tracking ‘on the fly’ with automatic landing site update. 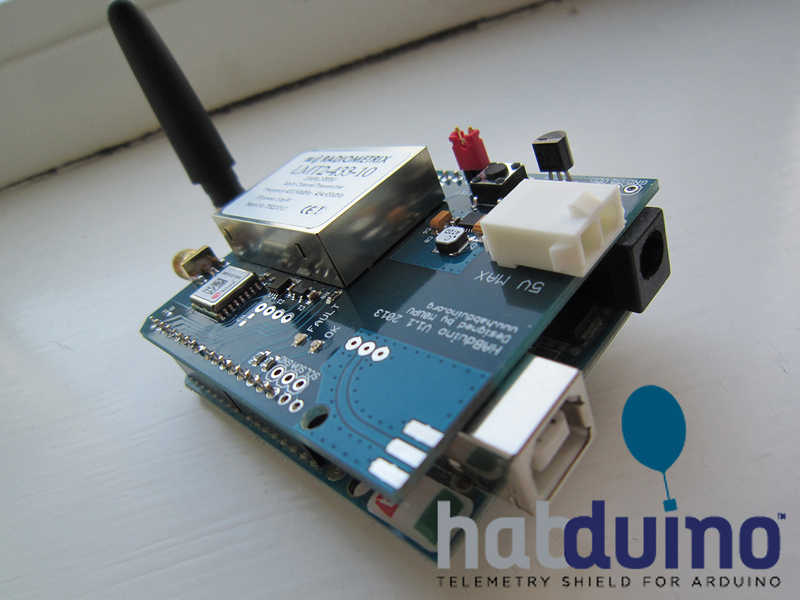 It offers all the features of DIy built radio trackers for HAB. Today, 11th August 2013, the tracker completed it’s first test flight in Spain. Anthony, a member of the project said, “Although the hardware is pretty much done I need to document it all and price it up. The board uses a slight more expensive LMT2 transmitter which has a TCXO so is extremely stable and is also frequency agile. A step up regulator is implemented so you can run the board from a pair of AA batteries, I plan to sell it with an active GPS antenna, battery clip and RG174 pigtail for end user to make an antenna. Price will be about £100 (need to work out exactly how much).